Every year Siem Reap manages to put on a spread for Christmas. Despite the fact that most locals don’t celebrate Christmas, all of the hotels are decked out in Christmas finery and many are offering elaborate Christmas dinners. Quite a few smaller restaurants also have a Christmas menu, but almost everyone wants an advance booking, so it’s time to start considering this year’s options. Here’s the Move to Cambodia round-up of the best 2015 Christmas dinners in Siem Reap from least expensive to positively extravagant. We will be updating this up to Christmas, so if you know of others, please leave details in the comment section. 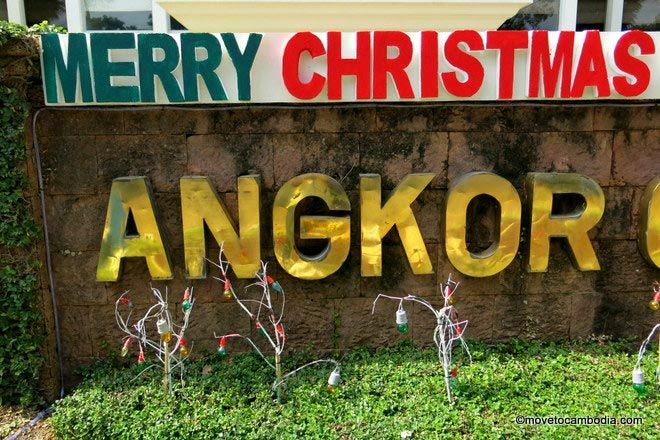 Merry Christmas, Siem Reap. Let’s eat! For the week of December 20th, Belmiro’s will be offering a classic American Christmas menu of roast turkey, honey-baked ham, scalloped potatoes with Cheddar cheese and cream, maple-glazed carrots, string bean casserole for just $17. They will be serving this alongside their regular menu of pizza and subs, so there’s something for everyone, even the non-ham-eating humbugs in the group. They expect to run out of turkey before the end of the Christmas run, so if turkey’s your thing, show up early. Be warned that they will not be open on Christmas Day, but will be open every other day during the Christmas week and will be serving this holiday meal on December 21st from 3 p.m., December 22nd, 23rd, 24th, and 26th from noon until midnight. Genevieve’s on Sok San Road is having a Christmas Day lunch for $20. The menu will feature prawn tempura or fried pepper squid, turkey with roast potatoes, roast pumpkin and carrots, peas, stuffing, gravy, and cranberry sauce. For dessert there’s a Christmas pudding with custard. They are serving from noon to 12:30 pm (you heard right, that’s a single seating) and can accommodate up to 40 people, so make a reservation in advance by calling Phil at 081 410 783. Irish pub and restaurant Molly Malone’s is offering a lovely Christmas lunch and dinner. There’s a two-course and three-course menu option this year, for $24.75 and $28.75 respectively. The menu features a glass of mulled wine, then a cream of mushroom soup or prawn cocktail starter, and then traditional roast turkey with sage and onion stuffing with roasted and mashed potatoes (they’re Irish, after all) cauliflower cheese, steamed seasonal vegetables, and gravy. For dessert there’s a bûche de Noël with tea or coffee. Malones is one of the few places in town with a vegetarian offering, and will be serving a nut roast with mushroom cream sauce with all the trimmings if there’s enough demand. Reservations must be made by December 23rd, call 012 447 340. Mie Cafe will again be offering a great value multi-course gourmet Christmas menu. As usual, the FCC Angkor has some upscale Christmas dining options on December 24th and 25th. Their set menu is $55++ per person and starts with a glass of bubbly. This year the menu features oyster and pearl, which I have to be honest, I have no idea what that is if not shellfish and jewelry, followed by avocado rolls stuffed with seafood, prawns and ponzu sauce, “totem of foie gras with pomelo atomized, spices bread, figs jam” (I couldn’t make this stuff up), sous vide oxtail with smoked mash potato, apricot sauce, red cabbage and a dessert of praline coulant and petit fours. All accompanied by live piano music. Reservations are suggested. Just like every year, Raffles has to go and out-Christmas everyone else, with their raft of traditional Christmas events and meals, including the ever-popular Christmas Day brunch. The brunch runs from noon to 3 p.m. and features a visit from Santa at around 1 p.m. who will bring gifts for the kids. They haven’t announced the buffet menu, but it’s likely that it will be similar to last year’s, which featured a sushi and sashimi buffet, pastas, salad bar, a selection of Asian and international hot foods, carvery, cold cuts, cheeses, soups, and desserts (including a yule log). Basically the menu is very long and you’ll leave stuffed. Price is $70++ for adults and includes free-flow beer and wine, or $90++ with champagne or $105++ with pink champagne. The price is $35++ for kids 6-12 and free for kids under 5. Reserve in advance. On the 29th, Raffles is holding a post-Christmas pre-New Year’s gala charity dinner. 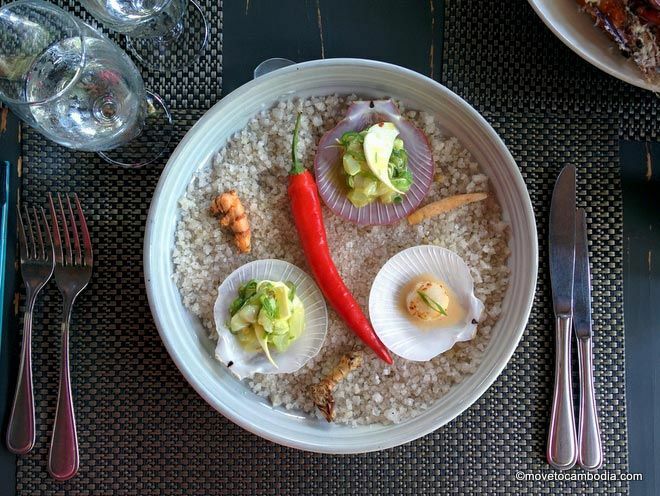 It’s $195++ per person and includes a four-course Western Khmer fusion meal, cocktails, canapes and the sense of satisfaction one gets from going to a fancy charity event. 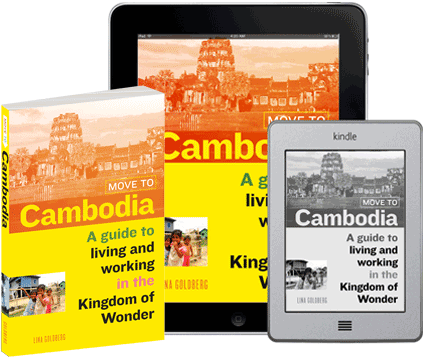 Proceeds go to the Nginn Karet Foundation for Cambodia and their Sacred Dancers of Angkor troupe, who will also be performing the traditional dances of Cambodia at the event. To find out more about what’s happening at Raffles over the holidays, check out their 2015 Christmas activities for kids (and adults) in Siem Reap. *All of the hotel prices are ++, which means they don’t include various taxes and VAT. Expect to pay an extra 10% above the listed price. 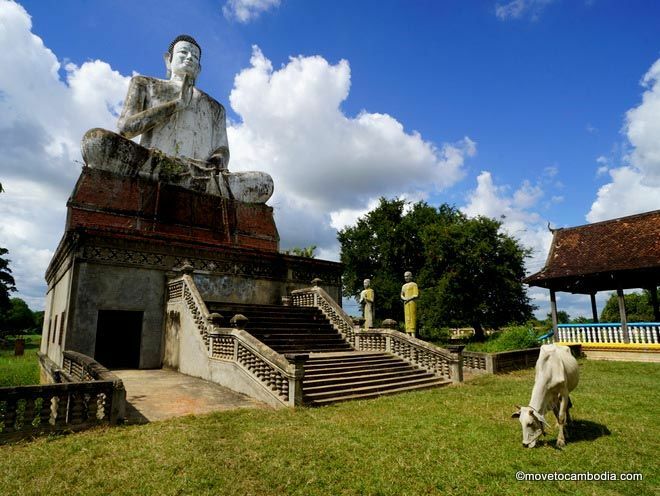 This entry was posted in Siem Reap, Holidays and tagged Christmas, Raffles Grand Hotel d'Angkor, Molly Malones, Christmas in Siem Reap, FCC Angkor, Mie Cafe, Belmiro's Pizzas and Subs, Genevieve's Restaurant. Bookmark the permalink.